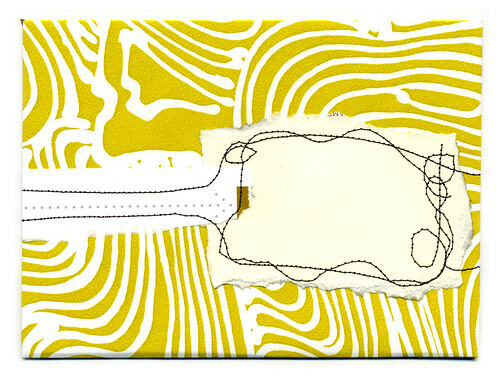 Yellow Wallpaper A6 Envelope, originally uploaded by Leah Virsik. My site is back up. It was down for a little over a day. I didn’t realize how attached I was, especially since I’ve been blogging so often with Art Every Day Month Challenge! I had a really great day full of inspiration and motivation and meeting other artists at Alyson B. Stanfield’s Art Marketing seminar in San Francisco. I’ll share some more about the seminar tomorrow. Stitched A6 envelope above. This one is very excited to be on a journey to Italy next week!